Hardwood timber lengths are delivered to our smallholding near Clun. 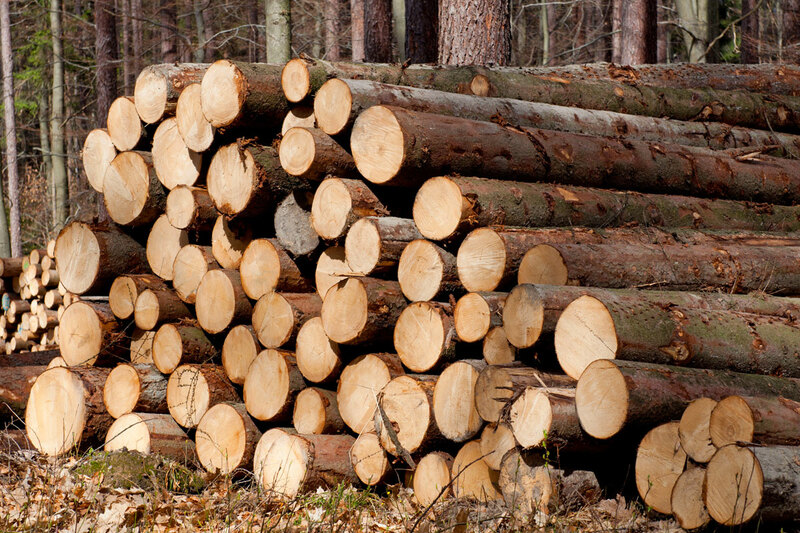 We aim to purchase our timber as locally as possible and always from sustainable sources. The timber lengths are loaded onto the log table ready for processing. The processor cuts the timber to the required length. 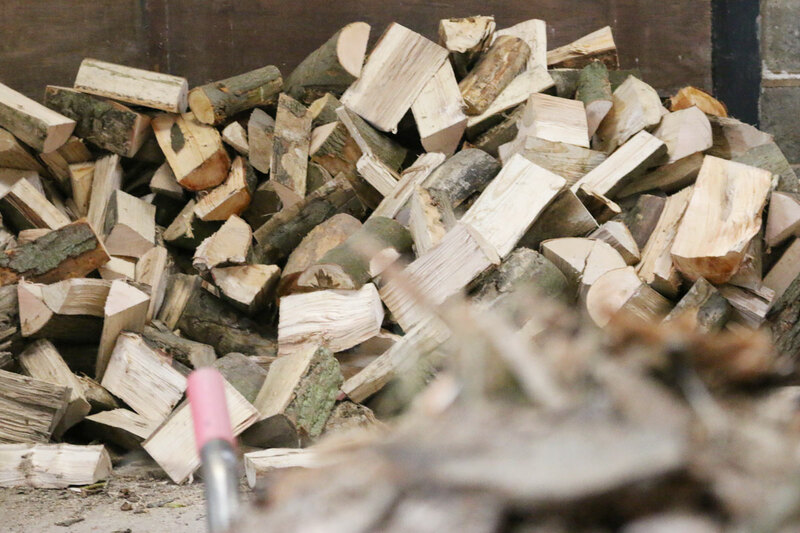 We generally cut logs to 10″ long as we find these fit on most wood burners and open fires. The 10″ long round of timber then passes into the splitting chamber of the processor. 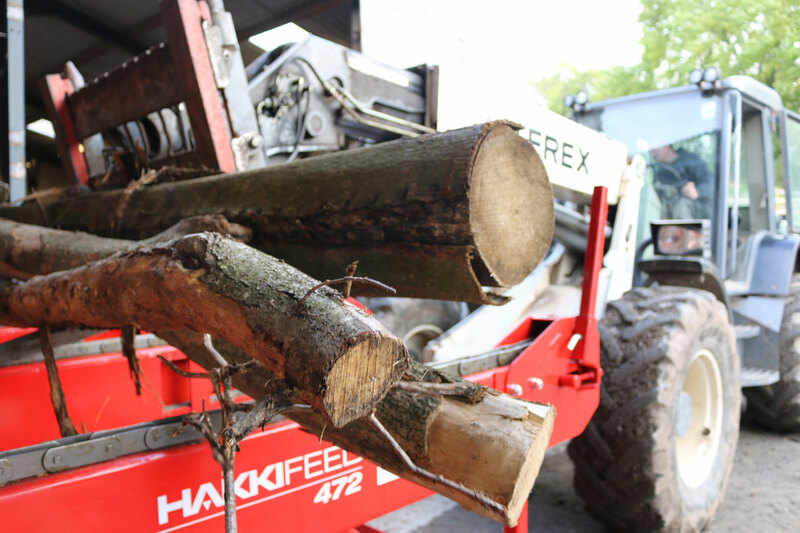 The splitter splits the timber round into a viable size log. 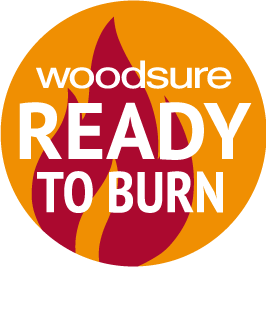 Too small a log and they burn too quick – too large and they are not convenient for customers to handle. 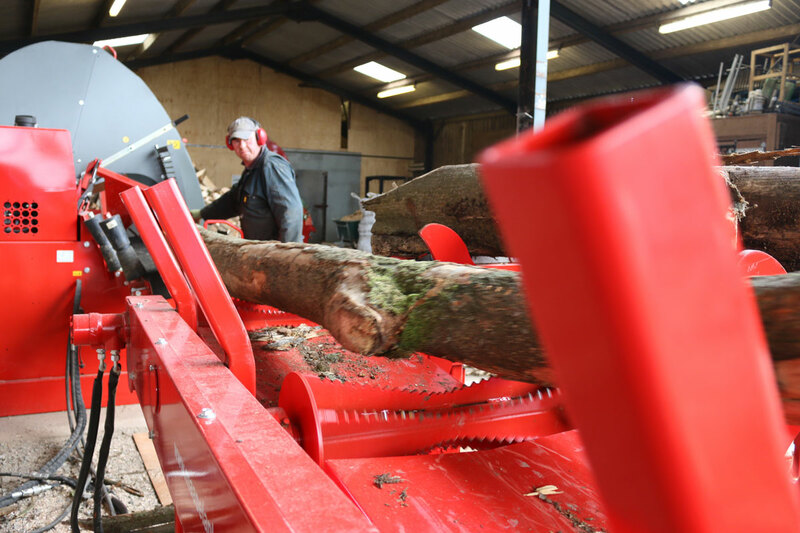 The logs leave the processor via a conveyor belt, passing over the log cleaner as they do so. This is essentially a grid which allows any small pieces of wood to fall through ensuring only suitable logs pass through to be kiln dried. The logs are then put in a large bin ready for drying. 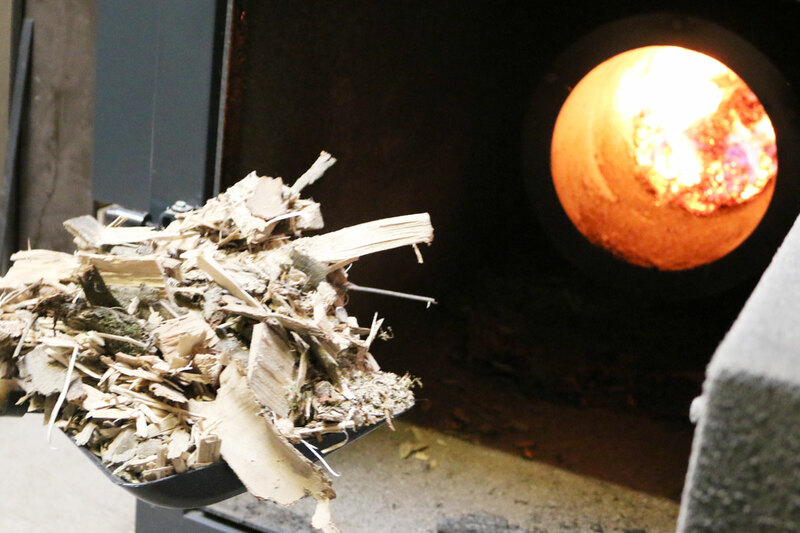 Any off cuts and debris collected as ‘waste’ from the log cleaner, plus any sawdust from the cutting process can be fed into the boiler allowing us to use every piece of timber that arrives on site. 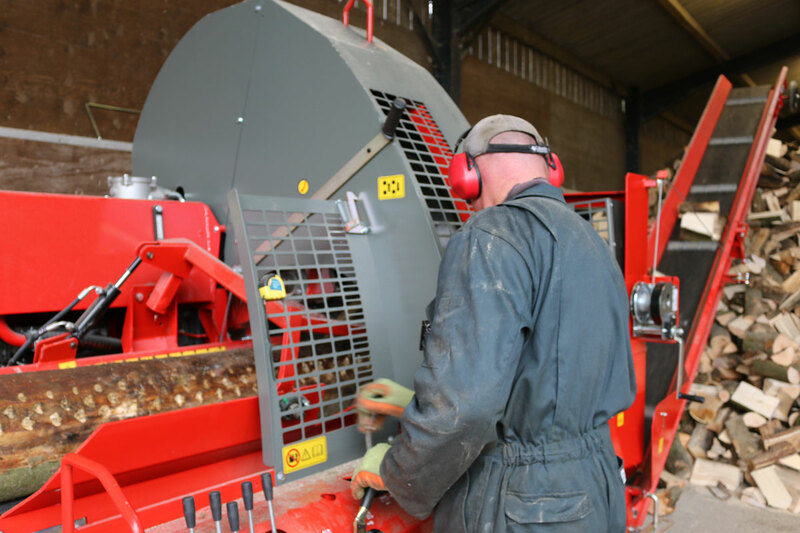 The boiler is automatically fed by woodchip and ‘waste’ is manually fed. 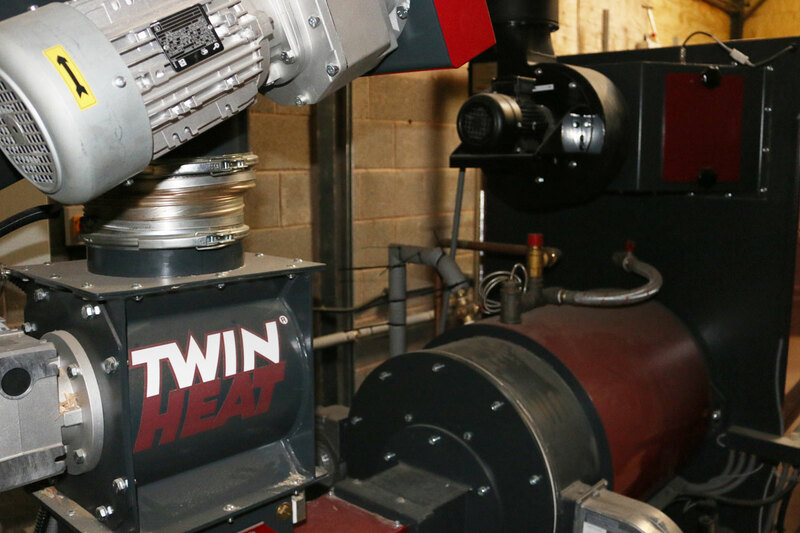 The boiler heats water – this hot water passes through to the kiln. The bin holding the logs is placed in the kiln. The hot water from the boiler passes through a heat exchanger – here the heat is taken from the water and passed into the air. This hot air is then forced into the bin and through the logs. Controls on the kiln monitor the humidity within it which increases as the logs dry, the kiln vents open releasing the moist air. The kiln is designed to ensure the heat from the boiler is used most efficiently. 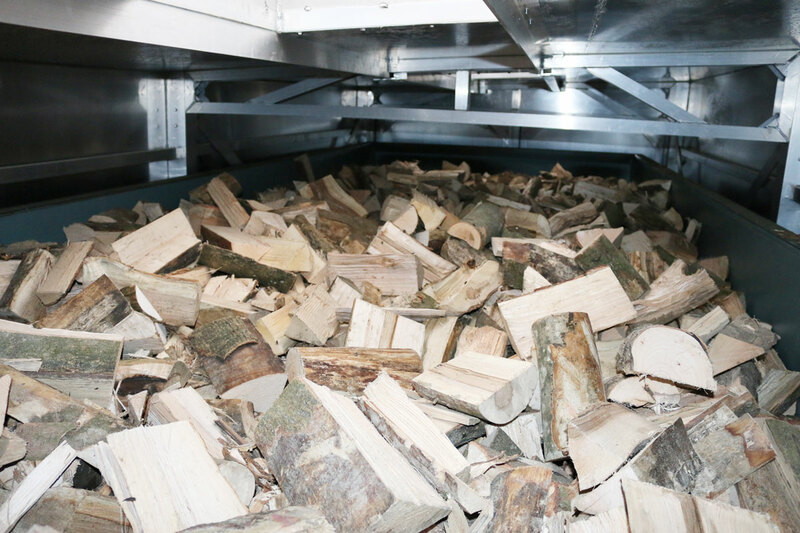 The logs stay in the kiln for approximately 4 days. 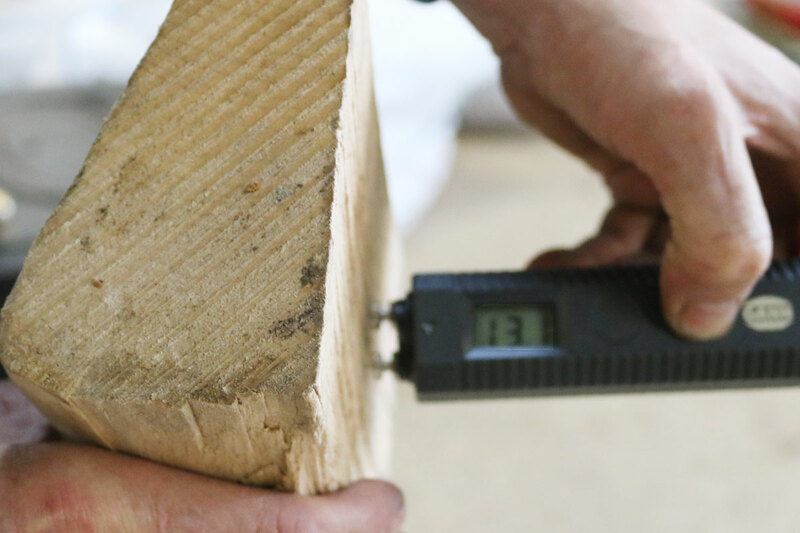 When they are ready the average moisture content of the log is averages around 18% – they start off at around 50%. 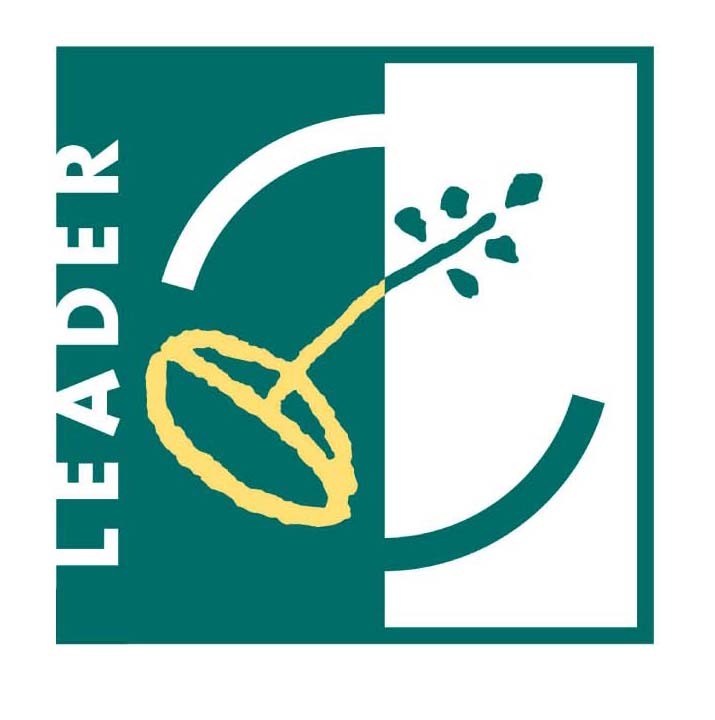 The kiln dried logs are then ready for delivery – either as a bagged load or loose load. 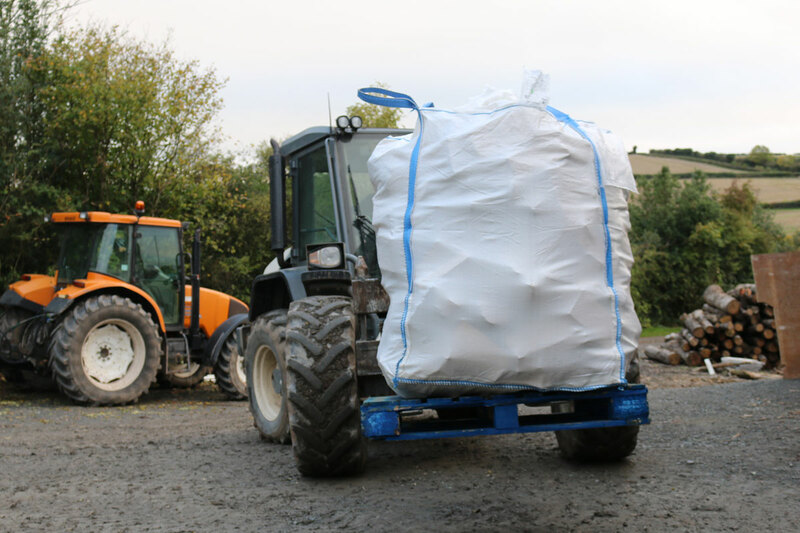 Various bag sizes and loose load sizes are available for delivery. 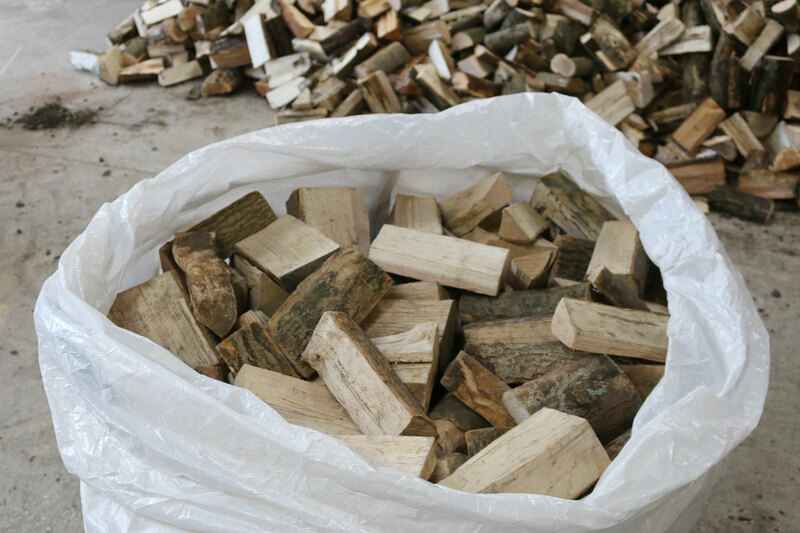 We also offer waterproof bags if your logs need to be stored outside. Please let us know your requirements when ordering. Deliveries are made using our lorry which can access most drives. 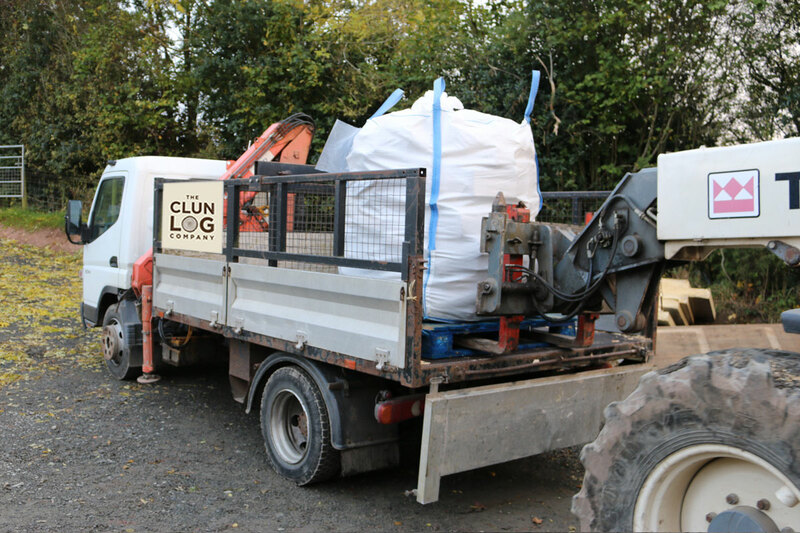 Bags can be unloaded using a small crane attached to the lorry. Loose loads can be tipped in a convenient place.